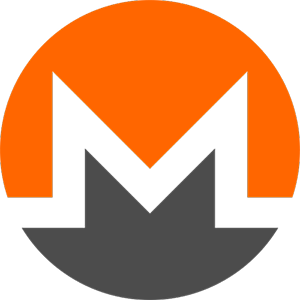 Monero (“Coin” – Esperanto) (XMR) – is an crypto currency with an open source code, based on the blockchain technology. It was created in April 2014. It works on Windows, Mac, Linux, Android and FreeBSD. Unlike crypto-currencies, which are derived from Bitcoin, Monero is based on the CryptoNote protocol and has significant algorithmic differences related to obfuscating (“mixing”) of the data inside the blockchain. It is denoted by the XMR code. Mining of Monero is based on the principle of PoW (Proof-of-work): the miners receive a reward for solving cryptographic problems, as a result of which a new block is added to the blockchain every two minutes. In this case, unlike many other crypto currencies, Monero emission is not limited. The main difference between Monero and other crypto-currencies is the use of CryptoNote protocol for encrypting of transactions. This protocol works on the principle of ring signature, in which any member of any closed group can leave the electronic signature – but the person who did it will never be known. Also, the protocol provides passive mixing of the transactions themselves so that they are all anonymous. However, anonymity requires large resources, primarily memory: Monero transactions take up on average 8 times as much space as Bitcoin’s transactions take. As of mid-October 2017, the Monero exchange rate is $ 95.14. The market capitalization in the amount of $ 1.447 billion approximates the crypto currency closely to the top ten in terms of this indication.